Some parents call it the acronym soup: SAT, ACT, SATII, AP. They say trying to get through all of them can be just as stressful for parents as it is for students. "It's the math and science that are painful," says parent Gloria Fleming. The Flemings, from Nyack, are getting ready for the college entrance exams -- even though son Will is the only one actually taking the exam. "It's a little tense but I know it's better because I'm getting the direct help," says Will Fleming who has a private tutor to help him with not only college entrance exams but also the applications and essays. Lisa Jacobson, the CEO of Inspirica, a test prep company, says higher results equals greater opportunities. "What we try to do is open up more options for kids and that's what we say to parents. Every 50 points, every 100 points will open up another school," said Jacobson. Unlike traditional programs, boutique agencies like Inspirica match one student with one tutor. The personal-touch companies, part of a growing trend in the multi-billion dollar test-prep industry, feel private tutoring delivers better results. Are Private Tutors the Key to College Acceptance? Private tutors promise higher scores on the SATs, are they worth it? But the tips and the coaching come at a price. Rates for private tutors can at $150 an hour. So one hour a week, every week, for one year would cost a parent more than $7,000 (No, this is not an SAT math word problem). 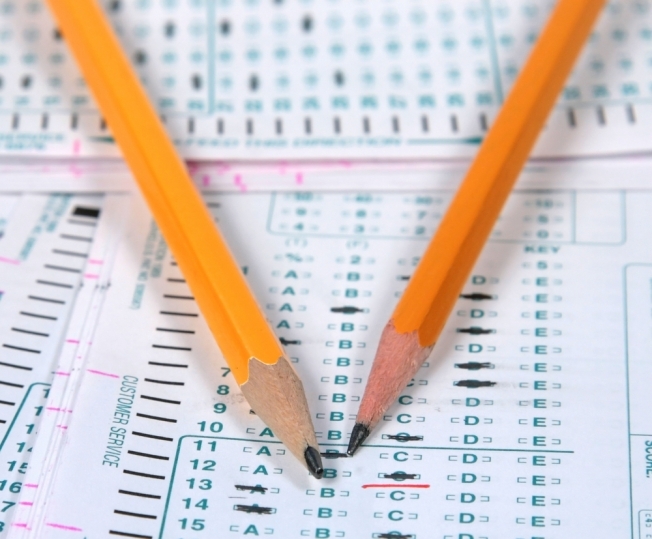 "On average the increase in test scores from test prep is about 30 points," says New York University Vice-President of enrollment Randall Deike. That number comes from a recent study done by the National Association of College Admission Counseling, which Mr. Deike worked on. Yet Deike says getting into college is about more than just test scores. He does not discourage parents from getting tutors or paying for traditional test-prep programs. But do kids with more money have more of an edge? Deike doesn't believe so. "Given the research no I don't think they have an edge," he said. The Flemings are still believers. They credit Inspirica with getting their oldest son into Villanova, and Will (fingers crossed), hopefully into Duke. "If I don't have him in an environment where he's being challenged personally to the top of his ability he's not going to get the most out of it and I'm not going to get the most of my money,” said Will’s father Thomas Fleming. Test-prep should not start three weeks before the exam. Students should learn three new words a day. They need to write them down on an index card and carry it with them to school. They should use the words during conversation throughout the day. Act has no guessing penalty. Opposite for the SAT, you do get penalized for guessing wrong. Getting sick before the exam can affect a student’s test taking skills. Some tests take four hours so students need to make sure they are well rested. Students want to be awake one to two hours before you take the exam.